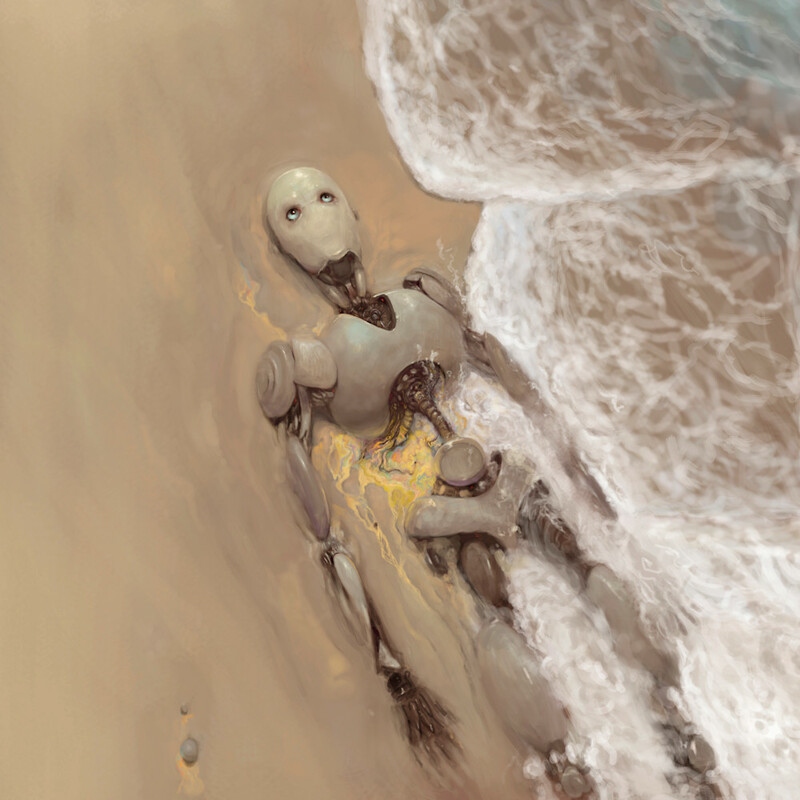 Burton Gray’s “TRANSITIONS,” sad robot dying on the beach. Robot bleeding to death on a Caribbean coast line. FUNCTIONAL AESTHETIC: Calming reminder of slow transitions from one stage of one's life to the next. Stretched canvas is perfect. Sides look cool as mirror on this one, or pick your favorite color. Frame is unnecessary but a nice touch. Will look great in pretty much any situation. Acrylic: Looks cool, but not worth added expense unless being shiny and reflective is necessary to fit into upscale modern decor. Framed prints look good but cost a bit more so I'd only recommend if you prefer a frame aesthetic.